this, that, there, "the Bears"
dis, dat, dare, "da Bears"
short "o" becomes short "a"
double "tt" becomes double "dd"
The table above summarizes some the accent's key aspects. Now let's take a closer look. Da Bears: The Letter "D"
One of the most well-known bits of Chicago-speak revolves around the "d" sound. The "th" sound found in words like "this," "that," and "there" turns into a soft "d" sound. In fact, you may hear someone very clearly say "dis or dat" instead of "this or that." While it's not quite as strong as the "d" sound found in SNL's sketch "Bill Swerski's Super Fans," it's definitely there. There's nothing more "Chicago" than "da Bears" (and that's exactly how they're called). If you refer to the football team by saying "the Bears," you must not hail from this town! Bill Swerski's Super Fans: "Da Bears"
Vowel Shift: "A," "O," and "U"
Something funny happens to short vowels in Chicago; they undergo a transformation that linguists call a "vowel shift." This sound of the short "a," as in the word "hat," gets emphasized and shortened so that it sounds closer to "hay-it." The short "o" of "hot dog" is pronounced with a flat, nasal tone that makes it sound more like "haht dahg." Speaking of meat, "sausage" is pronounced "sahh-sage." And the short "u," as in the word "hut," has a more "aww" sound. This sound is reminiscent of the way New Jerseyans pronounce coffee ("cawfee"), but not quite as strong. In Chicago, words like "but" and "cut" sound a bit more like "bought" and "caught." Instead of saying that you're "looking at a picture," you'll want to say you're "lookin' atta' pitcher." It's a lot about saving time. Cut out the "ctu" and replace it with a "ch" sound, and you'll be able to say a lot more in a shorter amount of time (like a real Chicagoan). South Side Speciality: No "Th"
For Chicagoans on the South Side, there’s no "th" sound. It's just a "t." For example, "one, two, tree, four." Linguists classify the Chicago accent as one of several types of Inland Northern English, also known as the Inland North Dialect or the Great Lakes Dialect. This dialect appears across the U.S. Great Lakes region, which extends from Central New York westward through parts of Pennsylvania, Ohio, Michigan, Wisconsin, Illinois, and Iowa. Great Debate: How to Pronounce "Chicago"? Depending on whether you're from the North Side or South Side—or, if you want to get technical, the "nort side" or the "sout side"—you're likely to pronounce the name of our fair city differently. Regardless of how we pronounce it, we all agree that this is the best city on earth! 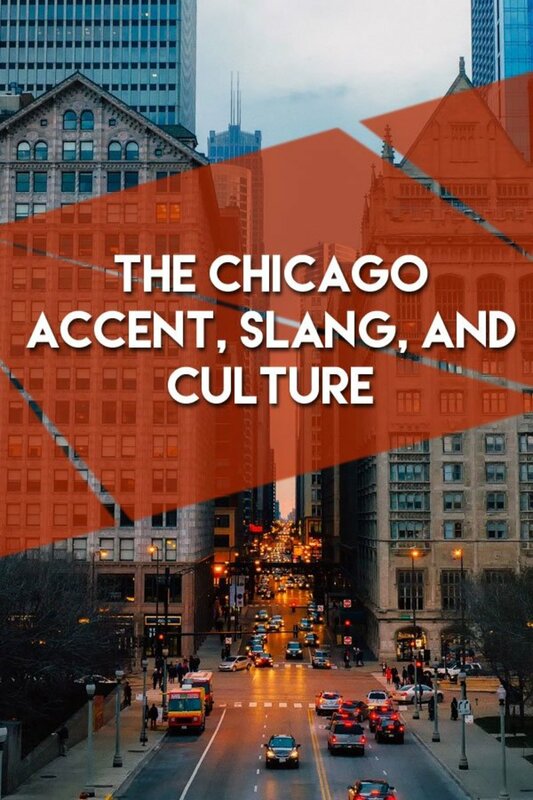 In addition to the accent, there are some slang terms, city nicknames, and cultural traditions that are unique to Chicago. Let's take a look. You may already be familiar with Chicago's two most famous nicknames—but did you ever stop to consider the origins of these monikers? Sometimes when the weather gets bad, folks will say, "Well, it's the windy city, after all." Saying this, however, will immediately mark you as someone from out of town. Chicago is not called the Windy City because of the weather. We're called this because we could not stop bragging about hosting the 1893 Columbian Exposition. We were "full of air" about the issue. Another frequently floated theory is that the term was coined as a reference to the city's "full of hot air" politicians. 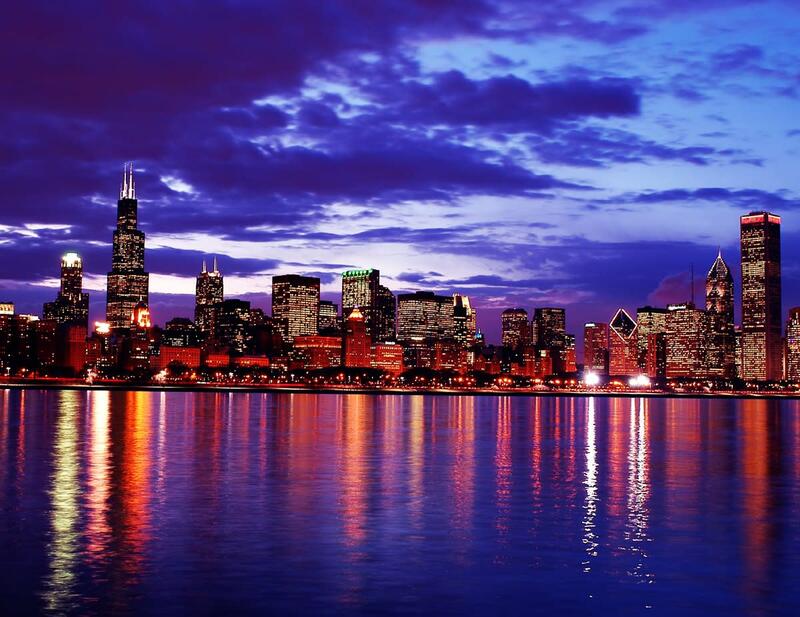 Chicago is sometimes referred to as the Second City. The name comes from the city having been rebuilt after the Great Chicago Fire of 1871. Also, at one time, Chicago was the second largest city in the United States, after New York City. Second City is also the name of arguably the best comedy club in the world, and it's located right here in Chicago! Second City Comedy Club is where Saturday Night Live has found a lot of its talent. Many comedians got their start here: Tina Fey, John Belushi, Jim Belushi, Dan Aykroyd, John Candy, Steve Carell, Amy Poehler, Alan Alda, Chris Farley, Steven Colbert, Bill Murray... I could go on! Why is Chicago called the Second City? Chicago Dog: A Chicago dog is an all-beef hot dog served on a poppy seed bun. 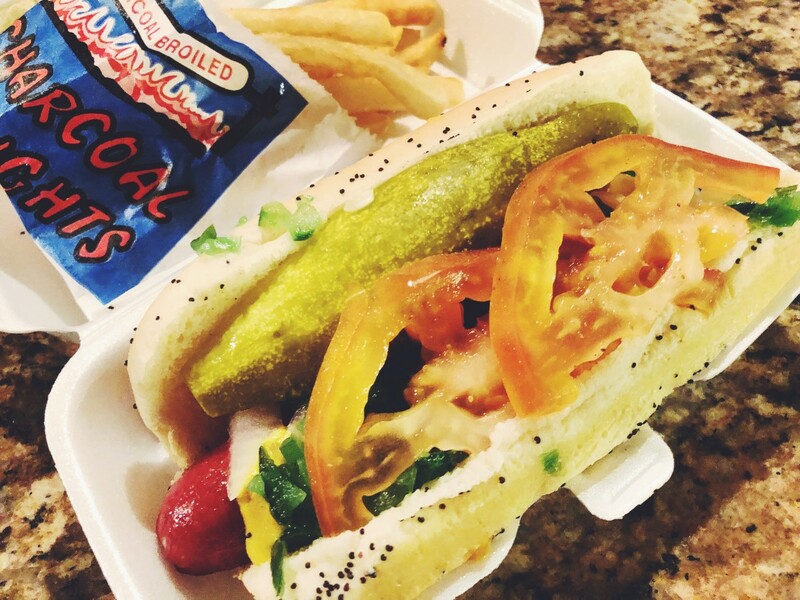 There are some variations, but most Chicago dogs have yellow mustard, sweet pickle relish, chopped onions, a pickle spear, slices of tomato, and pickled sport peppers. Of course, don't forget that it's all topped with celery salt. But whatever you do, don't ask for ketchup! If you want ketchup with your hot dog, you're definitely not from around here. Couple, two, three: This unique phrase describes "a few." If you ask your friends how many beers they've already had, you might hear "A cuppa, two, tree." 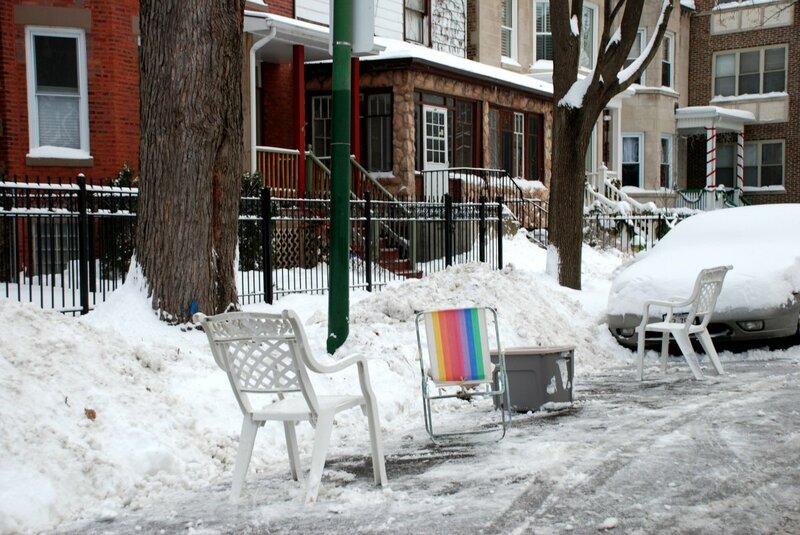 Dibs: Dibs is a notoriously awful parking situation that comes from a mixture of a lack of parking and a ton of snow. If you shovel the parking spot in front of your house, you may call it yours. Therefore, you have dibs on it. Some folks even put objects in the parking space after they leave to let other drivers know they have dibs. Other drivers may ignore those objects—or move them—and park there anyway. This can lead to wars between people who just need a place to park versus those people who worked hard to clear the snow from a parking space. How do you feel about dibs? Dibs is immature, I just need a place to park. I understand both sides of the issue. I'm not familiar with dibs. Didja: A time-saving phrase, "didja" is the shortened form of "did you." For example, "Didja clear the snow in that parking space?" "Where should I meetcha at?" 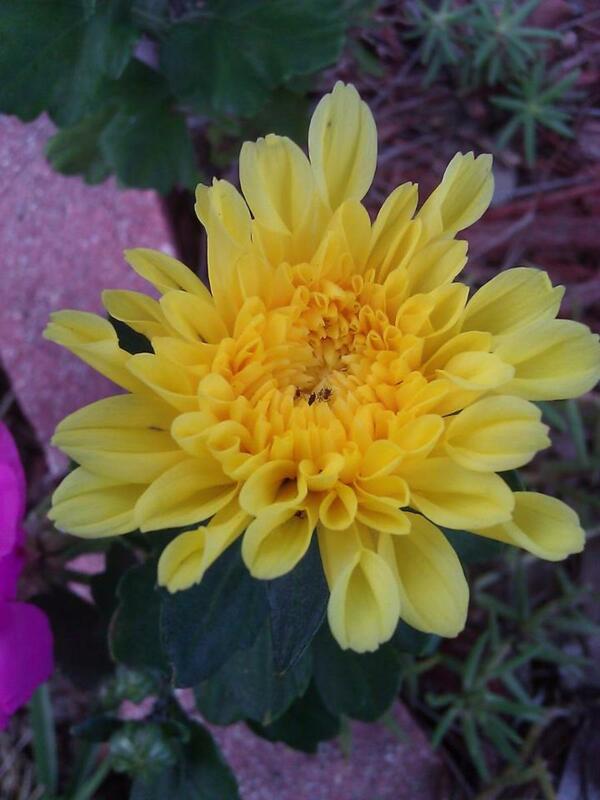 One reader noted that it comes from the influence of early German settlers to the Chicago area. "Do you want to come with," comes from the influence of the separable German verb: mitkommen. Er What: This is a popular appendage to the end of a sentence. "Are we goin' to the show, er what?" Frunchroom: This is how Chicagoans refer to the living room or parlor. Linguists believe it may have its origins in the term "front room." Gaping: This is what we call rubbernecking; i.e., what drivers do when they inch past a traffic accident. When lots of folks are gaping, this will lead to a "gaper's delay" or a "gaper's block." Go to the Show: Growing up, my grandmother would always ask if I wanted to "go to the show." Seeing a movie in the theater was her favorite pastime, but my friends and I just called it "going to the movies." I figured it was something from my grandmother's generation, but more and more I hear Chicago folks calling it going to the show. Graj: This is where you park your car if you're lucky enough to have one. It's not pronounced "ga-rage." That's just way too many syllables for a fast-talking Chicagoan. Grachki: Related to the above, this is a garage key. Gym shoes: What we call athletic shoes, sneakers, or trainers. Hunnert: How we say "hundred." Jewlery: I can't say I've ever heard someone say the full-on "jewel-ry." It's almost hard to say. Here, it's often pronounced "jew-lery." The Jokes: Nope, it's not a live comedy show; it's the comics in the newspaper. 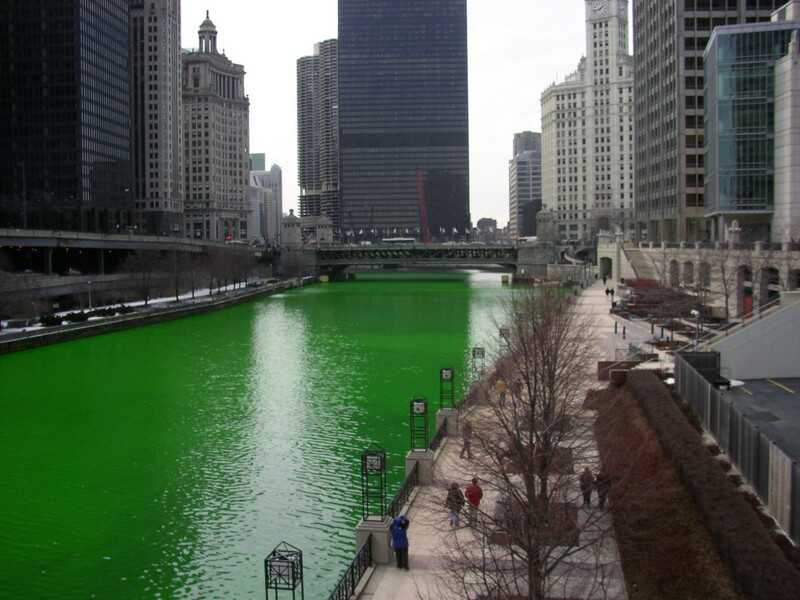 Every year, the Chicago River is dyed green for St. Patrick's Day. Over By: If you're referring to an object's location, it's not just "by" Macy's (still Marshall Field's in my mind), and it's not just "by" Grant Park. It's "over by" Grant Park. Over Dare: A phrase used in conjunction with "over by" is "over dare," as in "We went over dare to dat joint over by Midway." Pop: As with other Midwestern states, folks in Illinois drink pop—not soda. Soda is for laundry. And that's pronounced "pahp," by the way. Prairie: A vacant lot, especially a long-abandoned one with weeds to prove it. Usta: This is a shortening of the phrase "used to." "They usta call it Comiskey Park, but now it's Guaranteed Rate Field." Washroom: Don't ask for the restroom or the bathroom—and definitely don't ask for the powder room! In this town, it's the washroom. Youse: The plural form of "you," as in "where are all youse goin'?" Also frequently paired with "guys," as in "what do youse guys wanna do?" Do you go to the movies or the show? 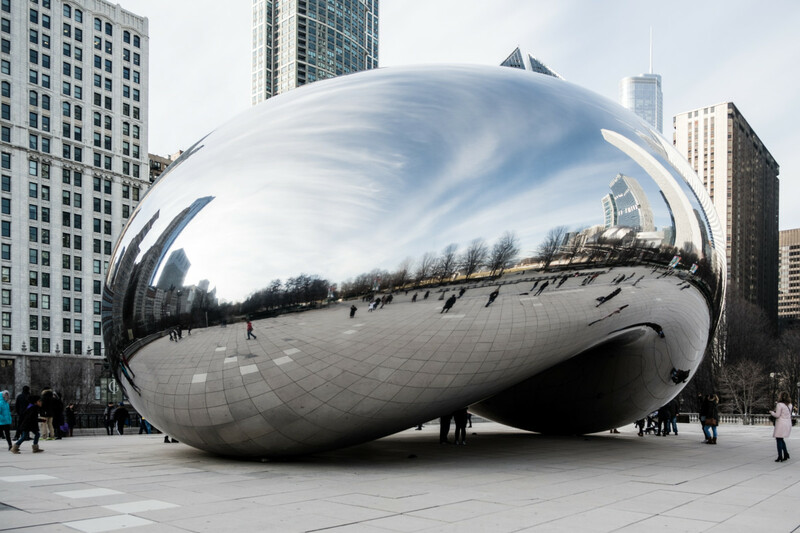 The Bean: This is what we call "The Cloud Gate," a sculpture created by artist Anish Kapoor and installed in 2006 in Millennium Park. Although it's a fairly recent addition to Chicago's landscape, it's already a big tourist attraction. The Corn Cobs: How we refer to the Marina City buildings. Fun fact: When these twin towers were built in 1964, they were the tallest residential structures in the world. The Kennedy, the Stevenson, the Eisenhower, the Edens, and the Dan Ryan: These are expressways. In this city, we don't use numbers to name the expressways. When you listen to the traffic report on the radio, you'd better be prepared to know your roads by their names and not their numbers. And yeah, they're expressways. Not highways. 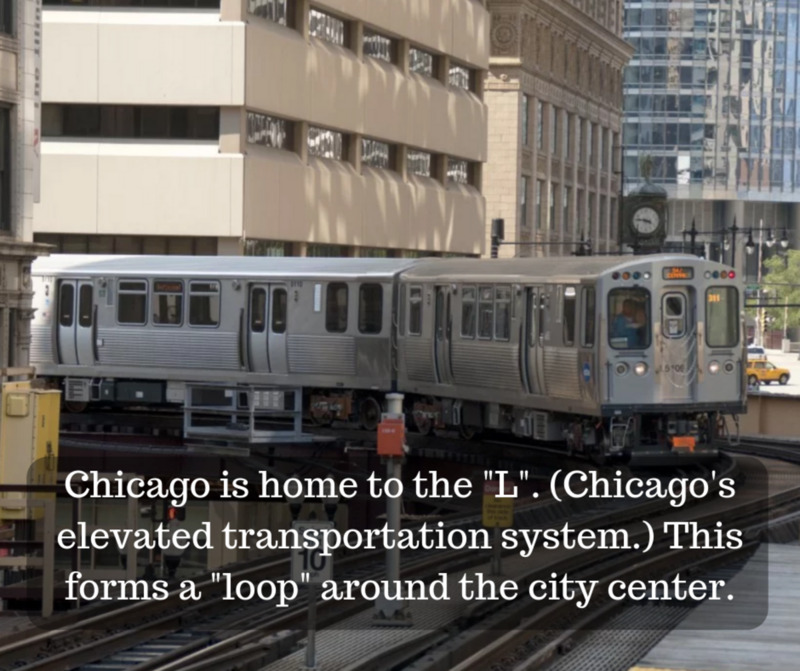 The L: The L is just what we call the transit system. It's an elevated train, and we're one of the few cities in the country with this type of mass transportation. The Loop: This is the downtown area of the city. The name comes from the fact that the L wraps around this area in a loop shape. LSD: It's not a drug, it's just what we call Lake Shore Drive for short. Taste or "The Taste": This is what we call our annual food festival, The Taste of Chicago. This festival takes place every summer and gives patrons the opportunity to enjoy favorite local foods—and long lines. And the White Sox Play... Where? Depending on who you ask, Chicagoans might give you different answers for the name of the stadium where the White Sox play. The original stadium was built in 1910 and named Comiskey Park after the team's founding owner, Charles Comiskey. In 1991, a new stadium was built directly across the street, and the old stadium was demolished. The new stadium was also called Comiskey Park—but in 2003 it was rebranded U.S. Cellular Field (after the company paid a cool $68 million for naming rights). In 2016, yet a new name was announced: Guaranteed Rate Field. This newest naming rights deal apparently extends until 2029, so keep your eyes peeled for yet another name change down the road. Some Chicagoans feel loyal to the name they grew up with, so you can see where this might lead to some confusion... or spirited debate! Where do the White Sox play? Did you know all of these celebrities were from the Chicago area? Think You Know Your Chicago Lingo? Slang quiz about Chicago. How well do you know the Windy City? I grew up just outside of Chicago in New Buffalo, Michigan, which is part of an area known as "the region." I had always thought I had a hint of Chicago in my accent—but I later realized that my accent is much more squarely Michiganian. The Chicago accent is a special animal all its own. Linguists classify both the Chicago and Michigan accents as "Inland North American." Both accents are very nasally. After writing about the Michigan accent in another article, "The Midwest Accent & Slang Terms," I decided that an article about the Chicago accent was long overdue. Do you have a Chicago accent? Did I miss anything? Please share your thoughts and ideas in the comments below! Jones, Claudette. "Seven Chicago Inventions and Innovations That Changed America and the World." Owlcation. Accessed February 6, 2019. Kaufman, Elyssa. "50 Celebrities You Might Not Know Were From the Chicago Area." NBC Chicago, June 29, 2017. Accessed February 6, 2019. McClelland, Edward. "The Disappearing Chicago Accent Is Layered With Local History." Chicago Reader. Accessed February 6, 2019. McClelland, Edward. "23 Phrases You’ll Only Hear in Chicago." Chicago Magazine, August 13, 2018. Accessed February 6, 2019. Mifsud, Rob. "Vowel Movement: How Americans Near the Great Lakes Are Radically Changing the Sound of English." Slate, August 22, 2012. Accessed February 6, 2019. Moser, Whet. 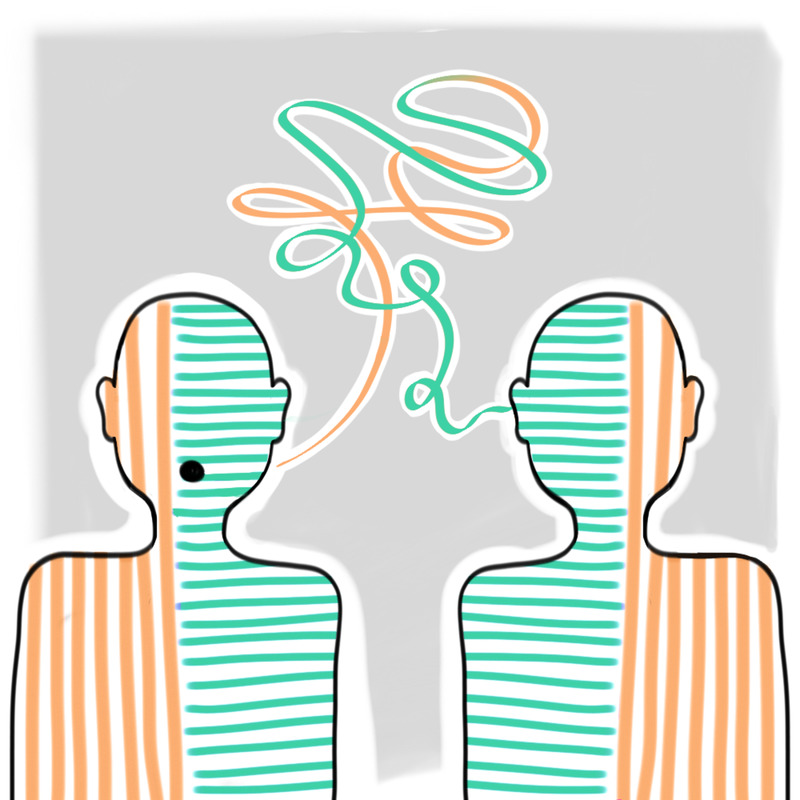 "Where the Chicago Accent Comes From and How Politics Is Changing It." Chicago Magazine, March 29, 2012. Accessed February 6, 2019. "Top Chicago Innovations." Chicago Tribune, August 8, 2014. Accessed February 6, 2019. I’ve lived in Chicago my whole life and no one says da bears or dis or dat. Except to make fun of what people think is a Chicago accent. And for a sure giveaway, listen to a Chicagoan when they order a pizza. Yes, we KNOW pizzas just about always come with cheese, but we always order "a large Cheese and Sausage", "Cheese and Pepperoni", etc. no chicagoan EVER says mag mile! just like no new yorker says avenue of the americas or the big apple. How about "youse guys"? We're meeting youse guys after we go ta da show and then we'll go to see Da Bears. When I got grounded as a kid I had to stay in my Ruhm. And the roof was the Ruff. I forgot that people assume when people have accents, they are uneducated. It's funny, the first comment I see on here was how someone learned how to speak "proper english" after progressing education. It's sad that the way someone talks determines how someone judges them. What really is proper English?If you had a PhD, but had a Chicago accent, sorry, you are less likely to get this job (despite being extremely qualified.) How you speak shouldn't determine your social standing in society. It's how someone grows up talking, their culture, identity. This dismays me, being a proud, educated Chicagoan. My family, from a south side steel mill neighborhood, all had thick Chicago accents. I did too, but learned the proper ways to say things as I got older and progressed in my education (especially when non-blue collar kids at high school poked fun at my accent and mispronunciations). I remember the embarrassment of realizing “frunchroom” wasn’t an actual word. I also said “wahk” for walk, “tahk” for talk, etc. anyone else do that? I was reading something on how people pronounce tomato. 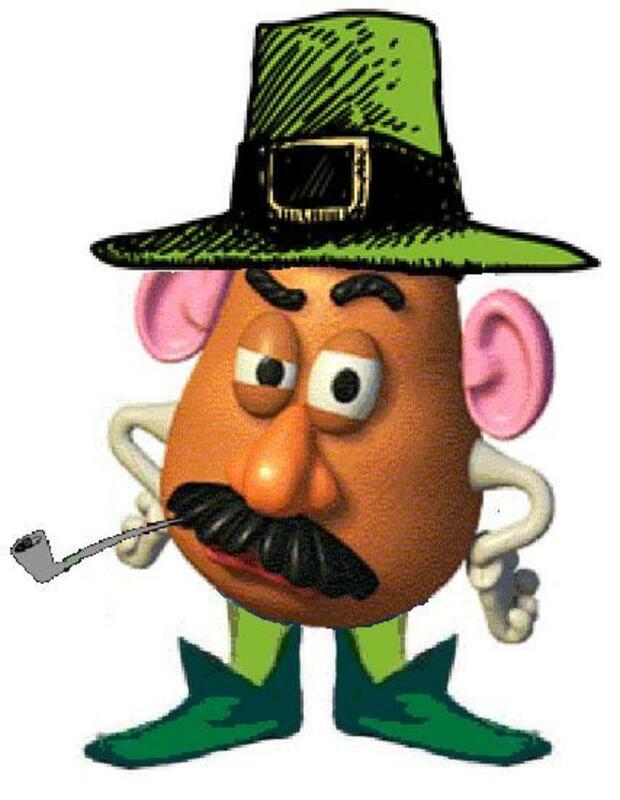 I say, Tah-may-toe. I have lived in the Chicago area my whole life. Is it just me or do you know others that say it like that? A big one for me was referring to Jewel-Osco simply as "Jool". Didn't matter if you were going grocery shopping or going to the pharmacy; it would be "Jool" either way. "I'll be right back, mah. I'm gonna go stap at da Jool over by Lee and Oakton!" From Chicago, and been living in NYC for 20 years. Still use and spell “sposta” and “becuz” “ya think”? People from London and NY have the same problems. You will generally carry on with the way these things are said from where you from. Staance not to get any juices on your shirt . You stand with feet spread wide apart and tipyour elbows on counter so yous can eat with no runs drips or errors! Grew up in Calumet City (right southa Chicago, call it Cal City & peeps who don't know think I'm saying Hell City, which isn't far off from the truth). You grow up in burbs, you call Chicago "The City" and everyone knows what you mean. My grandparents were part of the white flight from the Southside, first to Blue Island, then Riverdale, then Cal City. My mom grew up there, but she's a language snob and my grandfather hated anything associated with his Polish immigrant parents, including the Southside accent, so they only slipped into it occasionally. I picked up slang & pronunciation at school, so I ended up with this crazy mix of "proper" American English & the Chicago accent/dialect. It really comes out when I'm angry & start mixing pronunciation and vocabulary (proper, slang & profanities). Kids in school often asked me if I came from the South, as in coastal or urban Carolinas & Georgia or urban Tennessee, Mississippi or Texas. I grew up with a lot of black kids with southern roots (The Great Migration & the 1960s/70s mini-migrations), so that's part of it. I never noticed how much I substitute a soft "d" for my "th" until I read this, though. It's not as noticeable as most hard Chicago accents, I think. I've lived in Cedar Rapids, Iowa for 18 years, now, but people older than 40 from here notice I speak with a Chicagoland accent, while those younger don't. Same is true of younger Chicagoans who don't realize I'm from their area until I say things like bag (not sack), expressway & tollway (not highway), or northbound/southbound & eastbound/westbound instead of just north/south or east/west for street & interstate (there's a noticeable difference in north/mideastern Iowa between highway & interstate when people speak) directions. I also watched a lot of BBC stuff on PBS growing up along with reading my mom's regency romance castoff novels, so that further complicates my use of dialect & accent. It's really interesting, as I do more self-study in linguistics, to notice all these subtle differences. People from The Southside (especially black folks) can usually pinpoint the neighborhood somebody grew up in by slightly different accents & word use, down to a 6 or 8 block range, without consciously realize they're doing it. And, yeah, I drop my d's, g's, and t's after n's a lot when I'm not talking to more "educated" or "proper" General American speakers. Chi-Town speak when I grew up in the 80s/90s: wanna, gonna, aintcha, watcha (doin, wanna do, lookinat), whereyuh at, dawg, Gawd, unh-uh, yeah no, yeah right, big/li'l bro/sis, wifey/hubby or hubs, I getcha or gotcha (I understand), yah down widdit, and one I've never been able to shake and causes me endless trouble in conversation with Iowans....ending a description or explanation with you know (yuhno) or yahno whad I mean. Most say, "no, I don't know," or "yeah kind of/sort of," not realizing it's a lower middle class way of trying not to sound like a know-it-all and doesn't require any response other than "okay" or "I see." Being from the "Sowt" side we used to call people who lived "Nort" of Madison "Nort-siders! Locations: Folks (another Chicago word) need to know names of the neighborhoods (and parishes) on the Southside - "St. Bede's" in "Scottsdale". Northsiders use neighborhood names and intersections - “Foster and Clark in Andersonville”. For driving, you need to know the names of the expressways - "Eisenhower" - because that is what's used by the traffic guys and the signs. Travel distance is given in time rather than miles. Also, we tend to pronounce "yes" as "yah-uh" when we agree with things. And I try, but can’t stop ending sentences with prepositions. Just a coupe of adds- In response to the guy who said that the SNL skit was a bunch of new Yorkers trying to sound like Chicagoans- George Wendt was a sout' sider- Mount Greenwood/Beverly if I recall. and I think somewhere it was missed that often it wasn't even "comiskey" park- but I often heard "kah- MIN-sky" with an N because it was just too much work to stop the tongue from rolling into that N.
When I was growing up in Chicawgo in the fifties, Lakeshore Drive wasn’t called LSD, it was called the Outer Drive, or just The Drive. As for D replacing th, I think I sometimes made the change, depending on how fast I was talkin. As for Comiskey Park, we usually just called it Sox Park, and for Rigley Field, it was Cubs Park. And I’m happy to say that the folks out here in Montana, where I live now, all pronounce Chicawgo correctly. Another addition: that tall building located at 10 S. Dearborn St. with the plaza will ALWAYS be the 1st. National Bank of Chicago and never that....other name. South siders say Cha c-ahhh go. "I went to the hospital this morning to visit my brudder-in-law. You didn't mention that many Chicagoans speak without moving their lower jaw. The first Mayor Daly was especially good at that. The old SNL routine, even though it was done by a bunch of second city guys, isn’t really Chicago. It’s what you get when a bunch of New Yorkers try to sound Chicago. Growing up on the West Side, the front room was always the "fron-troom. Now after 25 years in Colorado people tell me I still sound like a Chicagoan. The Willis Tower isn’t the Willis Tower it’s Sears Tower. Superb article. I enjoyed reading it. I've only visited Chicago twice, both times during the winter and the cold made me glad to return to the South. However, I will not forget the wonderful sites and sounds of that city. My sister took me for true Chicago land pizza, and that was fabulous. I couldn't help but smile because some of the things you pointed out are notorious in the South, especially the -th sound being replaced with the letter -d. Some people credit this to the Great Migration, that time in American history, approximately late 1800's until after W.W. II, when people of color and individuals with low status fled the South to places like Chicago, changing the way language was spoken there. Nevertheless, I loved your article. Excellent, funny, and filled with rich information to digest like a wonderful Chicago "hot dag.". The answer to "Jeet?" is "No, jew?" I also say "The Ryan". I say "Downtown" more than "The Loop". People from the suburbs (my sons who now live in Chicago) say "The train" when they should be calling it "The L". "The train" is one of the commuter trains from the suburbs. They also say "The City" instead of downtown or Chicago. We don't say 'milk' or 'both' like some Englishman on his yacht. They are pronounced "melk" and "bolth" in Chicaaago. Further, I take exception to the way I am mocked for ordering Sahsage Pizza outside of Chicago; those filthy non-Chicaaagoans don't even make pizza right. Ruff isn't unsmooth, or the sound a dog makes. It is where Santa lands. What do yous guys wanna do? This entire piece and the comments really made me homesick! Not only is it unique here to call an overpass a viaduct, we also pronounce it viadock. Ky or better known as “can I” is a phrase I say & hear a lot. Also, roof is said differently in other parts. We say roof & in they say it’s ruff. We say qupon for coupon. Sawsage for sausage. I’ve been asked if I’m from Minnesota many times, yet I’m born and raised on the southwest side. Hahahahah, I’m born and raised Chicago, but have lived in the suburbs for 50 years. I still speak Chicago! I just read almost all the comments and love them. Especially gunna and hafta. We’re lucky, we have our own little language. Great article that really captured a lot of how we talk! We also pronounce the word "for" as "fer" or "fur". When I say a word that ends in the letter "s", I notice I make it a "z" and have a tendency to elongate it, such as "boyzzz". When I call my mother, I call her "Mah", I don't add the letter "m" at the end. Whenever I vacation to other parts of the country, I'm often told that I talk like I come from Chicago, but I wouldn't have it any other way. I love my Sweet Home Chicago! Pronunciation of "going to" , use of "by", & pluralization; as in "I'm gunna go by his house & then we're gunna go to Jewel's." I still end sentences with prepositions. I loved the writer below who gave the example"I says to him, I says" have heard many people do this. Really funny and accurately! But it’s not “Do you want to come with?” It’s “Ya wanna come wit?” LOL! Great article. I moved from Chicago in 1974 and lost the accent. But when I get back there once or twice a year on business, I get it back within three days. “Where are you?” is often said as “where yuh at?” And last year becomes las-cheer. What are you doing becomes Whaddre yah doin? Singles, bucks, and break. “Hey, can you break a 20”? “Yea, you want 2 tens or a 10 and singles.” Or “Nah, I only got 15 bucks on me”. That pretty well covered it. One thing to note-there are two train systems in the Chicago metropolitan area-the “L” and the Metra. 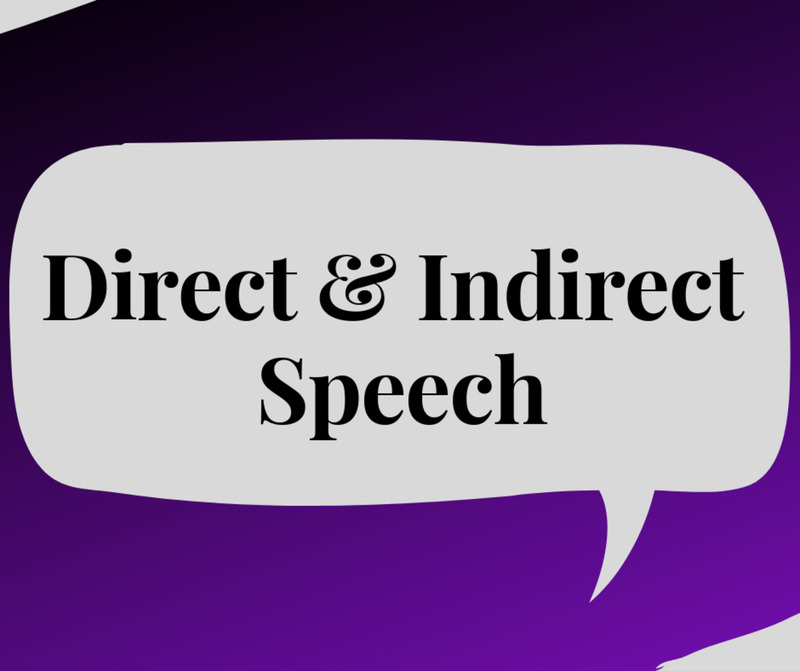 Depending on where you live determines how you refer to them. If you live in the suburbs, the “L” is called “the L” and the Metra is called the “the train”. Directions are given in grid coordinates - Addison and Western, 3600 North and 2400 West. Locations are also referenced by parish (and blocks). "We're two blocks west of St. Viators" (always plural - St. Barts, St. Lads, etc.). Also, the origin of "The Loop" is from the destination signs that used to be on cable cars, long before the loop 'L' was built, since cable cars turned around in a loop. Speaking of the 'L', it is NEVER referred to as the el. Always the 'L'. Doesn't matter if you are going into the subway, you are still getting on the 'L'. Others mentioned "gym shoes" and don't forget that groceries are put in a bag, no a sack. Had a debate with my sister, who was born on the east coast and moved here when she was 8ish about the pronunciation of Roosevelt. I pronounce it as one would pronounce rooster. She says it as one would say rose. My way is the Chicago way. The names of places always end up with a mysterious S. "Da Bears, yeah dey play at Sojers Field." And no real Chicagoan calls it the "Willis tower." Gym shoes is one you missed, most of the country calls them “sneakers”. There are expressways and tollways, and you better know the difference before you drive! Also, when in the city, a lot of directions/locations are referred to by how far away they are from “the lake” or “the river”. Lastly, the way we pronounce “Roosevelt” (as in the road, not the presidents). Clothes = Clodes. The “th” commonly becomes a soft “d”. Another Chicago favorite is "warsh" your clothes -- adding an "r" to the word wash. I always called it a vacant lot, jewelry is joolree, not highways, expressways. Don’t forget pop and gym shoes. Some of us still have the accent, but it’s slowly dying. Back in 1968 in Clearwater Beach, Florida I was having conversation with a fellow vacationer sunning ourselves in the yard of the motel. At one point she asked me if I was from Chicago. I was shocked. Well, I told her - I was raised in the far, far NW suburbs but my father and his were raised in the city. Anyway, I asked her how she knew. She told me it was because I said, "bring with" not just "bring" and that in no other part of our country has she heard it said like that. :) I never forgot what she told me and sometimes still when I hear it it makes me smile. NOT the Dan Ryan, "Da Ryan ". Newspaper comics were "The Funnies" Nowadays all sentences start with "I'm like " ! I'm like, did you watch Da News ? In Chicago we do not call the Ryan, Eisenhower, Edens, etc. "highways". They are called expressways. My father, who was born in a Bridgeport apartment building, forbid us to have the Chicago slang. I still don't know how he didn't get it himself. Maybe because he learned Italian first and spent a few of his young years in Sicily. The only thing I do is end with prepositions. Used to drive my husband from the East coast crazy. And for sure no good Chicago hotdog has ketchup! Avenue is pronounced avenyuh. And, if you are talking about food, I would say that an Italian beef sandwich is peculiar to Chicago. We're going to (wherever). Ya wanna go with? Nort Side or Sout Side!! Never say North or South. I am a northsider and we called the Dan Ryan, Kennedy etc the expressway. Living in VA now when say expressway they do not know what I mean. Front room is pronounced frontroom. No ch sound. But no one here calls it that. They say family room or den. I've always called everyone "you guys", as in hey you guys wanna go to grab a hawt dawg? Another variation of the “Jag” slang is “Dis iz total Jagballz.” This means the situation is totally fucked up. My son , who lives in Portland, OR now, told me something interesting today. The word expressway is not used in that area of the states. In fact, people look at him dumbfounded when he says it, they are clueless. Has anyone else gone through this? "I was gonna go to Da Jewels over dere on Kedzie to get a cuppa too tree beers, but couldn't find where I left da grachki at, it wuz in da frunchroom." It's not Jewel...it's THE Jewels! I was born and raised in Des Plaines and I instead of saying overpass I say viaduct. People out of state always look at me and ask what's that? I also say 'you guys' alot. The D instead of t is not as common in the old Rogers Park area. I never really heard it until I went to NIU and met kids from other parts of the city, especially the south side. "GYM SHOES", also also warm weather gear as "jacket", "light jacket, winter jacket" ...unless it is fancy, then it can be a "coat"
This is spot on. Great job. What a great city!!! Hafta, as in, doya hafta go? I have lived in Arizona that past 23 years, born and lived in Chicago/suburbs for the first 28 years of my life. People still hear my Chicago accent! "and then I says to him, I says"
Geez the article did talk about fruntroom and one you forgot is "Er what." ie. Are we going to go, er what? Add dress, accent on the A. Whats your Add dress.